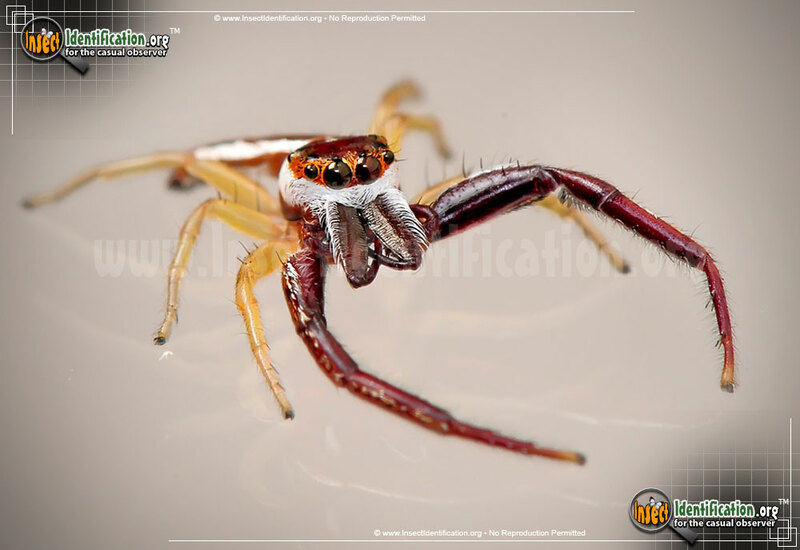 Detailing the physical features, habits, territorial reach and other identifying qualities of the Hentz Jumping Spider. A Hentz Jumping Spider prefers launching itself at its prey instead of building and maintaining a web. 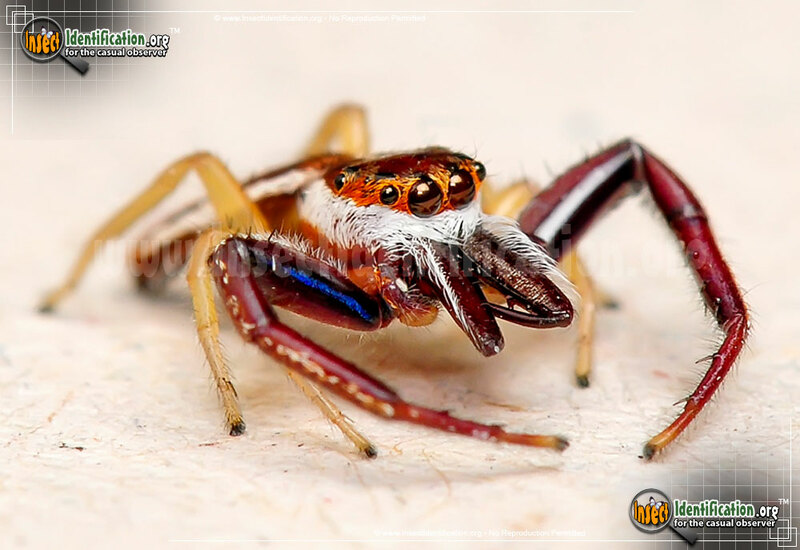 The Hentz Jumping Spider is a member of the Salticidae family, whose diminutive members easily leap. "Saltare" is Latin for jump. This spider is not very large; none of the jumping spiders are. 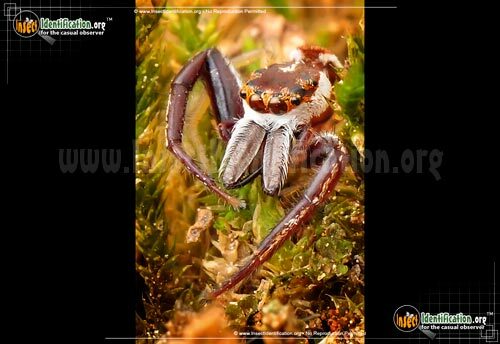 Rather than creating silk webs to catch its prey, this spider literally pounces on it in an ambush attack. And it can hop over tremendous distances for such a tiny spider. When it is making an attack, it will release a strand of spider silk (called a dragline) as it leaps to attach to the prey and keep it from escaping. The other use for its silk to create a small covered burrow for shelter and rest. In addition to springing to action when prey wanders by, the Hentz Jumping Spider is also quite fast at jumping away from perceived threats, like curious humans. This makes it a bit difficult to get a close look at it. If it is still long enough to admire it, one will see its first pair of legs are dark red, long, and larger than the other yellow legs. 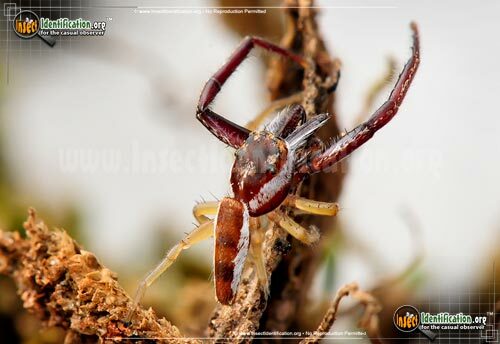 These strong legs help subdue insects, allowing the spider to inject its venom with a bite. Similar colored red pedipalps in front of the face are sometimes mistakenly thought to be a 5th pair of legs. These shorter appendages are actually part of the jaw. Large, round eyes in the front of the face are nestled in an orange band of hairs, and they are surrounded by smaller pairs of eyes. The overall brown-red color of the head bordered by a white, hairy band that even borders the abdomen's sides as well. 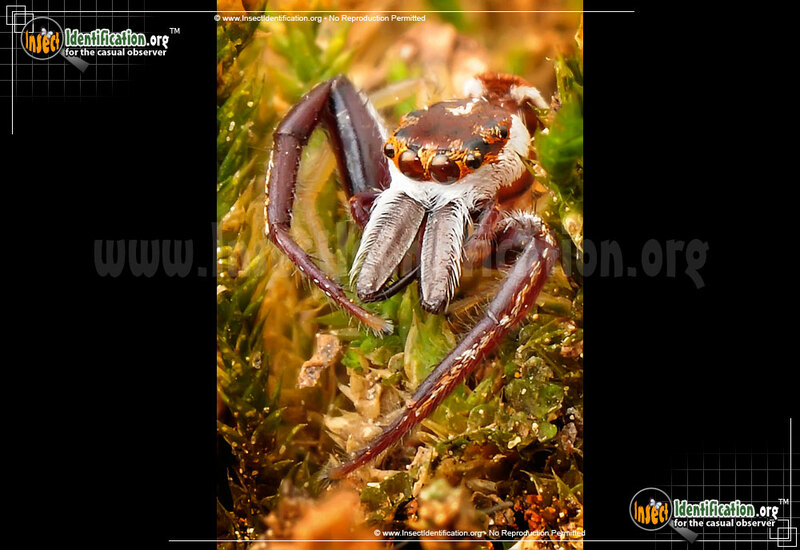 Subtle dark bands cross the abdomen, and some dark and white mottling is observable on the top of the cephalothorax. 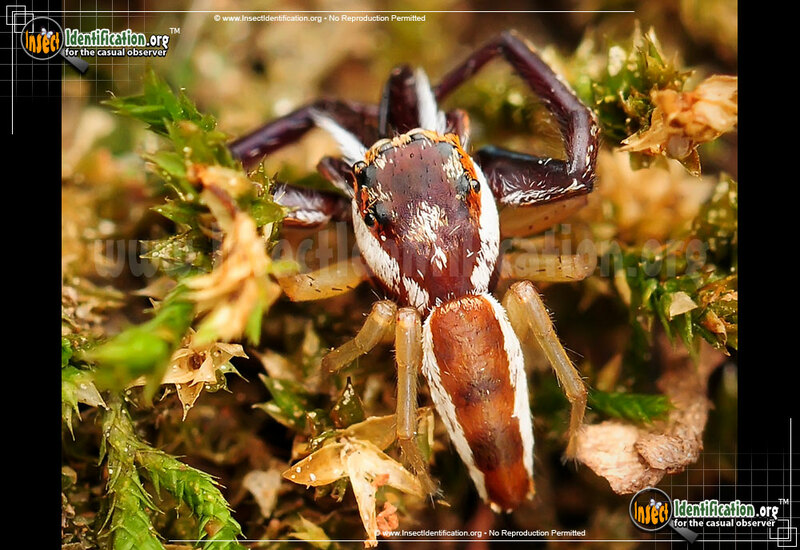 Look for a Hentz Jumping Spider among leaf litter and on the ground outside. Like many other Jumping Spiders, they sometimes come indoors looking for a meal. They are not considered harmful, but their quick jumping sometimes startles people.